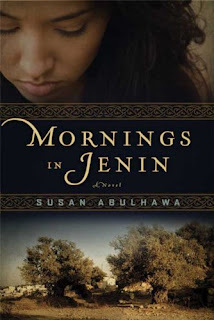 Mornings in Jenin by Susan Abulhawa follows a Palestinian family from just before WWII to 2002. It centers around Amal, a girl born in the Jenin refugee camp in the 1960s and is profoundly affected by the Jewish attack on the camp in her childhood. Her father never returns, her mother goes insane, and her brother joins the resistance movement. Amal is sent to an orphanage for schooling and then is given the opportunity to attend college in the US. She rejoins her brother and his family in Lebanon in the early 1980s and falls in love. When war again seems imminent, a pregnant Amal leaves Lebanon for the US and her life, and the lives of all those close to her, are altered completely by what follows. It is only decades later, when Amal returns to Jenin, that her life comes full circle and she has the chance to be at peace. This book is very intense. It makes no pretense at being a neutral novel. Abulhawa is Palestinian and proud and she firmly believes the "inescapable truth that Palestinians paid the price for the Jewish holocaust. Jews killed [her] mother's family because Germans had killed [theirs]." However, I feel that the individual Jewish characters in this book are portrayed in a positive light. Readers can sympathize with them. As a group, however, of nameless soldiers and political leaders, they are presented very negatively. I am no expert on Israel and Palestine. I do not take a side in the debate, but I do think that Americans get a very one-sided view of the situation that heavily favors Israel. Therefore, while I think this novel has gotten a lot of backlash about being "one-sided" and very "anti-Jew," I don't see that as a negative. Personally, I think it's pointless to write a neutral story about such a charged topic. I would rather read one very strong, pro-Israel novel and one very pro-Palestine novel than read two books that cover the topic neutrally. It is not a topic on which one who is heavily involved can feel neutral. So I welcome this very passionate and strongly-worded book because it gave me pause to think and to consider, and to adjust my views of the world. Any book that does that is worth reading, I feel. It is hard to write a review of this book without me feeling that I am presenting myself as anti-Semitic. I hope those who read it realize that I am nothing of the sort. It is very important to me that people separate religion from political entities. I see Israel as a political entity, not as a symbol of Judaism. Just want to make that clear. Everyone knows that millions of Jews were killed in World War II. An appalling and staggering number that we can't even contemplate because it ignores the personalities, the potential, and the possibilities that all those people and their would-be descendants could have contributed to the world. For much of this annihilation, the Western world sat back and averted its eyes. This caused a huge amount of guilt after the full effects of Nazism came to light, and so one of the United Nations' first acts was to create the state of Israel. They did this by taking land from Palestine and giving it to the Jews. This, obviously, did not sit well with Palestinians, or the rest of the Arab world. Chaos, as they say, ensued. And ensues to this day. Mornings in Jenin is a novel that confronts many, many issues but the one that stood out most to me and made my heart ache was the idea that the creation of the state of Israel took away the culture and history of an entire Middle Eastern people, in retaliation for a horrific act that was done to them by European powers. Note that no one in Europe volunteered to give Jews parts of France or Germany or Poland- they conveniently offered up land that was farther away (and holy to three different religions worshiping the same god in conflicting ways- the achingly ironic facts just keep piling up). He looked on in silence at the proof of what Israelis already know, that their history is contrived from the bones and traditions of Palestinians. The Europeans who came knew neither hummus nor falafel but later proclaimed them "authentic Jewish cuisine." They claimed the villas of Qatamon as "old Jewish homes." They had no old photographs or ancient drawings of their ancestry living on the land, loving it, and planting it. They arrived from foreign nations and uncovered coins in Palestine's earth from the Canaanites, the Romans, the Ottomans, then sold them as their own "ancient Jewish artifacts." They came to Jaffa and found oranges the size of watermelons and said, "Behold! The Jews are known for their oranges." But those oranges were the culmination of centuries of Palestinian farmers perfecting the art of citrus growing. The above is not true- the Jews do have history, but they were driven out of so many places that they did not have a communal sense of home. That is a painful and disturbing fact on its own but does not negate the very real sense of loss the Palestinians felt when they were evicted from their homes. And to me, this book is really an acknowledgment of that loss and pain. It is not politically correct. It is not neutral. It is raw and bitter and angry. And it makes you realize that news reporting often ignores nuances and motives and desperation in the cut and dry way of reporting bombings and battles and masscares. Mornings in Jenin brings those circumstances to light, and treats them with respect. You may not like it, but you will be affected by it. Abulhawa has written a highly charged novel, and I think she does it in beautiful language. There are gorgeous turns of phrase here, and sentences that really stood out to me. One character "had the sad dignity of a man resigned to eating alone at a table set for five." Another's wrinkles "had carved her skin like prison bars, behind which one could discern the perpetual plaint of something grand and sad, still alive and wanting to get out." Stylistically, I was bothered a bit by the many (seemingly arbitrary) changes in tense, point of view and person. One section would be in third person past tense from Amal's point of view, and then we would shift without notice to present tense first person from her brother's perspective. This was annoying. I do not understand why so many authors recently seem so enamored of the present tense, and of changing tenses in their writing, but I am not a fan. It was jarring sometimes to scramble and determine whose point of view I was following. That said, I am very glad I read this book. Much like Black Hills opened my eyes to Native American history and took me on a mad dash to the bookstore to find books around that subject, Mornings in Jenin brought the Israel/Palestine conflict to light for me, and made it much more human than it's ever been before. I look forward to reading more on the subject. Any suggestions? This book was previously published under the title The Scar of David. I have GOT to read some proper books about the whole Israel/Palestine mess! Every time I read an argument on one side or the other, I read about something I'd never heard of before, and feel fantastically stupid. You know already that I am on the definitely pro-Palestinian side of this argument. I have been to Israel and Palestine. I see the way both cultures live. I have experienced what is over there and made my opinions based on my experiences. That does not mean I am anti-Jew and I hate when people equate siding with the Palestinians as a form of anti-Semitism. I couldn't care less what God a person worships or in what way they do it. I don't understand prejudice on religious grounds of any sort. Anyway, I could rant and rant, but you asked about other balanced good books to read. Habibi by Naomi Shihab Nye is a really good YA novel, as well as A Bottle in the Gaza Sea. I haven't read it, but I've heard Joe Sacco's graphic novel Palestine is really good. (i think that's what it's called). Wow, great review for a tough topic! You've definitely made me interested in this book. Jenny- I know that feeling exactly! I am the same way. Amanda- I can't wait to discuss this book in detail with you! I don't think I know enough about the Israeli side to be "pro" anything, but it was definitely a startling eye-opener. softdrink- Thanks! It is a REALLY touchy topic, and I hope I didn't do too much tiptoeing. Would be really interested to see your thoughts on the book if you read it. Israel-Palestine conflict is definitely a very complicated issue. And many of us are not in a position to make any judgments whatsoever. I agree with most of what you've said here. I would love to read something from the point of view of this book. Very good review. A very intense book that obviously makes you sit up and think about the whole situation. It's always good to go as close to the source as you can on these kind of issues, even though there's still the problem of bias to negotiate, so it's really wonderful to see a book by a Palestinian author about the conflict. I enjoyed your really thoughtful review loads and I'm glad I know about this book. Plus what a knock out cover. Violet- Exactly! I think I just really wanted to see the Palestinian point of view, as I don't think many of those books get published. Vivienne- Very true. You put it much more succinctly than I did in my rambling review. Jodie- Yes, the cover is beautiful, I agree. And I agree about going to the source for these. There are all sorts of grey areas. I know so little about this conflict that I cannot comment on anything about it. - gods I am so bad at history. It will be interest to see in follow up comments which books are the best... hopefully some suggestions are added here. This one is on my pile to read when I get home (we are on a trip at the moment). I can't wait to see how I react compared to your reaction! What a timely review. I was just offered a non-fiction books for review about someone of Jewish descent who is "Pro-Palestine" and one of his arguments is that the west is biased toward Israel because of guilt in the part that they played during the war. I can understand that it has been monumentally hard for the Jews to be so persecuted and without a home country but European powers carving up land for their own purposes and how best was convenient for them ha wreaked havoc across the globe and is the cause of any civil wars and massacres between tribes today. I was on the fence about taking the review copy but I am definitely more incline to accept it after the conversation here. Shellie- I hope so, too! I really want to get more recommendations, but it seems like a lot of people don't read widely in this area, so I will try to pull up a list of books myself. Rhapsody- Excellent! I am so excited to hear what you think as well. Nicole- Do you know the name of that book you were offered? I would be interested to have it on my radar. I completely agree about Europe (and America) being very arbitrary in the way they do things sometimes, ignoring how it affects people. I would be really interested in seeing what you think of that book, if you review it. All- I just wanted to also point out a documentary that was done on Israel and Palestine that I watched on PBS a while back. Not sure how easy it is to get your hands on it, but it was really good to watch. I don't know much about this subject, and indeed have never read anything about it. It sounds that although this book was a little difficult stylistically and because of it's subject matter, it might make a very timely and eye-opening read for me. I loved your review on this book because although you had problems with it, it sounds as though you were really able to learn something about the conflict and the people surrounding it. Although the book may be a difficult and sensitive read, I am going to put it on my radar to check out. Thanks for your thoughts on this book, it might have escaped my attention had I not read your review. It's called "Fatal Embrace: Christians, Jews, and the Search for Peace in the Holy Land" by Mark Braverman. I checked out his site and the video and articles that he has u look very interesting. This sounds really interesting. I focused on this issue, on the one-sided view we have of the Israel-Palestine issue, in a paper for a class a few semesters ago. I think I will pick up this book at some point! Great review. This is such a tough topic and there is no such thing as objective history when it comes to Palestine and Israel- or neutral fiction. It just stirs up too many emotions. Thanks for taking this on! I am not on either side of this issue -- it is so incredibly complex. I agree that one can't shy away from authors with passionate feelings about this tragic situation. I think it's our responsibility, as readers, to be aware that there is more than one side and to seek balance in our reading and thinking. I do believe, in a very real sense, the Palestinians *have* paid the price for the Holocaust. That is the nature of violence and war -- it perpetuates itself, generation after generation, century after century. I really want to read this book, though I know it will be painful. can anyway recommend a pro-Israeli book, from someone with firsthand experience, to pair with it? Aarti, I have this book, but it seems a little to intense for me right now. Thanks for sharing your thoughts. I recently finished reading this book, and am working on my review now. It's the type of book that one should put a lot of thought and care in reviewing, and you did a very good job! Zibilee- I think you'd really enjoy this book. I hope you choose to read it! Nicole- Thank you. I'll definitely keep my eyes out for that one, and I look forward to your review if you accept it. Swapna- Oh, that must have been a really overwhelming paper to research! But I am sure you learned a lot of interesting things for it. Marie- Yes, it's such an emotionally charged subject. I think it's hard to have just one reaction to it. Stephanie- I am also looking for a pro-Israel book, so if I find one, I'll let you know! Diane- Let me know if you read it later. I'd love to discuss it. Valerie- Oh, good! I will keep my eye out for your review! Fantastic review, Aarti. And I don't think you came across as anti-Semitic. Like Jenny, I feel like I can't form a solid opinion on this issue because I just don't know enough. I need to do some serious reading. Beautiful review!! I need to read this one! Thanks for suggesting it! This looks like a fascinating book - thanks for the great review, Aarti. As you say, there really is a dearth of fiction out there told from the perspective of the Palestinian (The Haj, by Leon Uris is the only example that comes to mind). I think you're right that we Americans tend only to hear one side of the conflict and automatically assume that to be the morally right side. I've been fascinated by the Israeli/Palestinian conflict since I read Uris' Exodus and Herman Wouk's The Hope and The Glory several years ago. Those books are decidedly pro-Jewish, and while they're very good stories, for someone like me who was just learning about the history of the conflict, they had the effect of influencing me to "side" with Israel. They they sensationalize the Jewish freedom fighters and seem to oversimplify the conflict. I've since read a little more and learned that the side isn't nearly as black and white as Uris and Wouk would make it seem. Ultimately, it's just a shame that there have to be sides at all. Anyway, thanks again for bringing this book to my attention - one I'll definitely check out soon! Aths- Thank you! Let me know what you think if you read it. Greg- Thanks so much for the suggestions for the Israeli POV. How interesting that Uris wrote books from both the Palestinian and the Israeli point of view. I agree that it's sad there are sides at all, but I don't know if that will end in our lifetimes. I'm so glad some suggestions are coming up here. Its best for me to get my history via novels. It is sort of from the the Palestinian perspective. The narrator is a teen and its set in the 80's where her father is Palestinian and the family is now being run out of Kuwait. Thanks, Shellie. Is that a YA book? Amanda recommended a YA book, too, so I'm glad at least the teen contingent is getting a more balanced view of things! You know I missed the comments above mine...yikes! Amanda always has great recommendations. I think it was actually marketed as an adult novel from a teens perspective. I do know that some of the reviewers complained about the language which I had no problem with - and has a GLBT theme running mildly through it. I highly recommend it. I think it was one of the better novels I read last year. Funny too. Btw, definitely recommending Joe Sacco's Palestine, but be aware of how one-sided it is - he is very forthcoming about his own bias in the foreword, so it's nothing he hides, but I'm a bit disturbed that he takes pride in it. Still a fantastic read, though!! Shellie- Thanks for letting me know! Will look into that one. Harsh and painful, more like it... :) But definitely worth a read nonetheless! Aarti, this sounds really good. Thanks for bringing my attention to it. I was born and raised Jewish in the United States, but I have no tolerance for what the Israelis are doing to the Palestinians. The Jews were persecuted, yes but now they are doing the same thing to the Palestinians. No, their not gassing them to death but otherwise, I don't see a difference. I do not practice Judaism, I haven't since I move out of my parents house when I was 18. All of the organized religions that I know of have persecuted a group at some time or another. I don't want to be a part of that, even indirectly. Teddy- I spoke to someone else who was brought up Jewish in the US and disliked the treatment of Palestinians. He said he wasn't really allowed to say anything in synagogue or anywhere else. It makes me really sad, when people hush up things like that. It just leads to more and more disturbing acts. And yes- organized religion has a lot to answer for. I, too, reviewed it, just this morning. The book struck me to my very core. AartiChapati: first of all, let me congratulate you on picking such a wonderful name - it had me in splits! Loved your review, just as I loved two other reviews. As I have already mentioned on another blog, your reviews compelled me to organize a book tour for Susan in the San Francisco bay area. Would it be possible for you to forward this link to the "Mornings in Jenin" tour to anyone you know in the SF bay area? :(www.cultureandconflict.com) It would be a wonderful opportunity to meet Susan and get your own signed copy of her book. One more note: since you mentioned other books on the subject, the best that I know of is a memoir called "In Search of Fatima." To an extent, Susan is inspired by that book. I just finished this powerful novel and am recommending it to all my reader friends. One of my dearest friends is Jewish and we happened to be sharing a flight to the same city for separate business meetings last week. I was reading this when she walked to my seat to visit and told me how she was going to Israel for the first time this summer. Then she asked what I was reading and seemed offended when she saw the cover. My history-buff friends have told me in the past about the plight of the Palestinians and America's guilty role--befriending Israel always and turning a blind eye to their atrocities. I want to read a few more books from both sides but this book is very convincing and given me a new compassion for the Palestinians. One interesting thing--the book criticizes America for their role in these horrors. But the Amal and her family seek and find refuge in America, as did the author in real life. I find this ironic. Its a very powerful book and it sets me wondering how one race can cause so much torment to another despite them suffering much torment.